Cuddle up with lab tech Abby Sciuto! Whether you drape this decorative throw over the back of the couch or use it to cuddle up, enjoy the woven design featuring Abby Sciuto from NCIS, in front of a red gothic print. 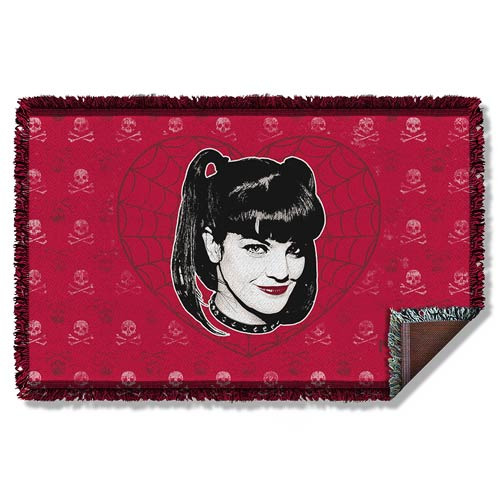 This NCIS Abby Sciuto Heart Woven Tapestry Blanket measures approximately 58-inches long x 36-inches wide.